Why not end the summer with a big clear-out? Join the ‘Cash from the Attic’ movement now! The 2016 Address list has been finalised! Or a JPEG of the map here. 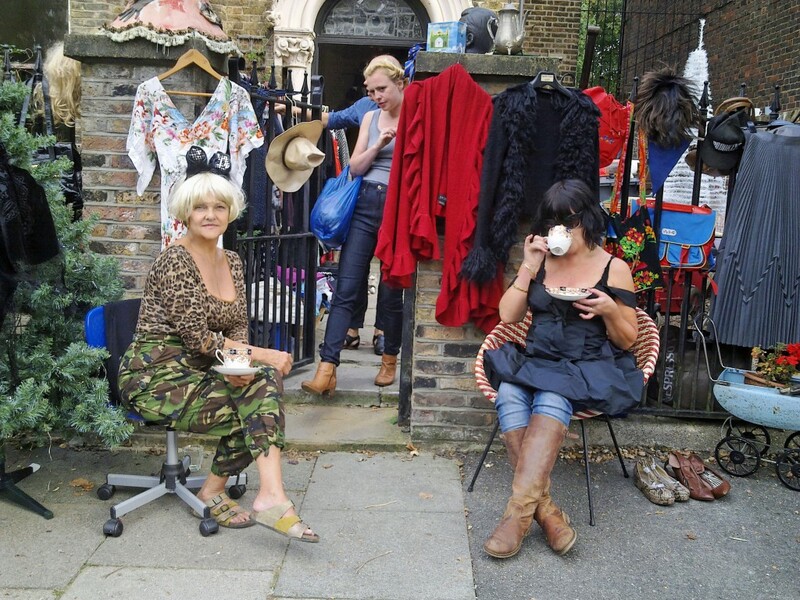 Last year, over 70 participants in Brockley successfully de-cluttered. And many, many more grabbed a bargain. And it’s completely free to take part! It definitely works best if there is a ‘cluster’ of sales in or near your street, to attract visitors. And it’s a great way to meet your neighbours; why not talk to them about running or sharing a stall, on one or both days? Help promote the event by displaying a poster outside your house. You can download our poster here, or make one of your own. Make sure to include your name, house number, street, postcode and email address. State whether to be included for Saturday, Sunday or both. The deadline for inclusion is 9am on Friday 9th September. We will not publish your name or email address. The final list showing the day(s) and addresses will be available here for download from lunchtime on Friday 9th September. Be sure to return then and download it. Or use our amazing new dedicated Google Map (see below). Click the square/arrow icon in the upper left corner to select either day. 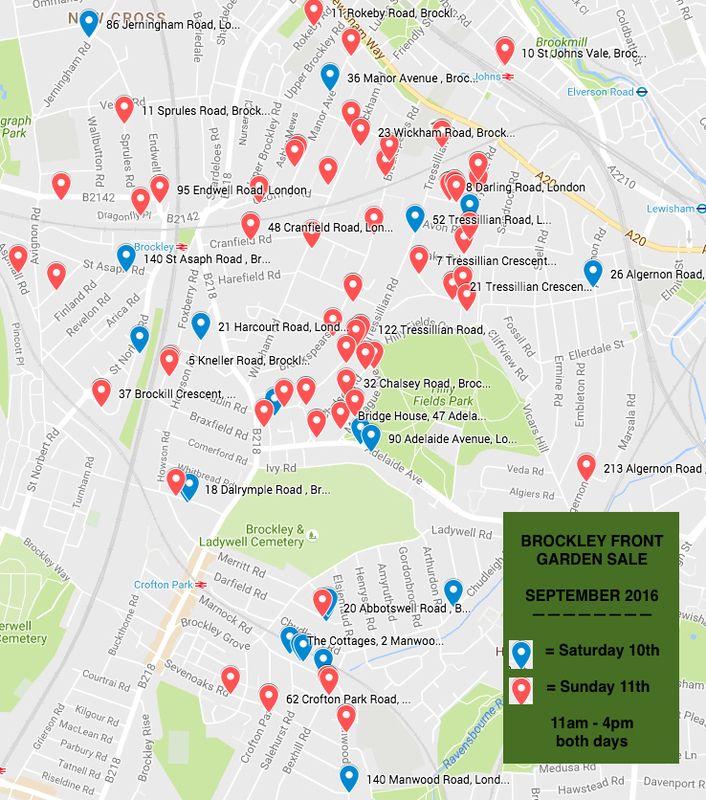 The Brockley Society takes no responsibility for any items on sale. Goods are sold as seen; returns are discretionary. In case of bad weather, each participant will decide whether or not to go ahead.